Why That One Time You Smoked Pot Can Get You Banned From The U.S.
Matthew Harvey, a British Columbia resident, was permanently banned from the United States because he admitted to a U.S. Customs and Border Protection (USCBP) officer in 2014 that he had previously smoked marijuana. But why does this occur and what can be done if it happens to you? The CBC recently reported that Matthew Harvey, a British Columbia resident, was permanently banned from the United States because he admitted to a U.S. Customs and Border Protection (USCBP) officer in 2014 that he had previously smoked marijuana. Although Mr. Harvey currently holds a medical marijuana license in British Columbia, he admitted to recreational marijuana use before the receipt of his license. It is true that travellers may be banned from the United States if they admit to the commission of a crime, even if they have never been charged with or convicted of any offence. This is not limited only to controlled substance offences, either. But why does this occur and what can be done if it happens to you? The Immigration and Nationality Act (INA) contains numerous grounds of inadmissibility that relate to criminal conduct; several of these grounds apply even where no conviction exists. One such ground is INA §212(a)(2)(A)(i)(II), which addresses controlled substance offences (not including trafficking offences, which are covered by a different section). INA §212(a)(2)(A)(i)(II) states that any foreign national who is convicted of, or who admits to having committed, a violation of any law or regulation of a State, the United States or a foreign country relating to a controlled substance will be considered inadmissible to the United States. In other words, making an admission to a USCBP officer that you previously violated controlled substance laws in Canada can result in a permanent bar. Of course, for this ground of inadmissibility to apply, the foreign national must admit to violating a controlled substance law. If Mr. Harvey had only admitted to smoking marijuana in accordance with his medical marijuana license, he would never have been barred. It was his admission of prior illegal marijuana use that sealed his fate. In my view, such broadly worded questions are inappropriate, but USCBP officers have been known to ask them. In general, the admission must also be made before an immigration officer. So when Justin Trudeau publicly admitted to marijuana use, this did not automatically make him inadmissible because the admission was not made before an immigration officer. However, since his marijuana use is now public record, Justin Trudeau could be questioned by USCBP during a future visit to the United States. At that point, it would be difficult for him to deny that he smoked marijuana in violation of Canadian laws. That said, it is unlikely that USCBP would raise this issue while Justin Trudeau is prime minister of Canada. Earlier this year, the Government of Canada announced that it would introduce legislation to legalize marijuana in 2017. However, this problem will not simply disappear once marijuana becomes legal. 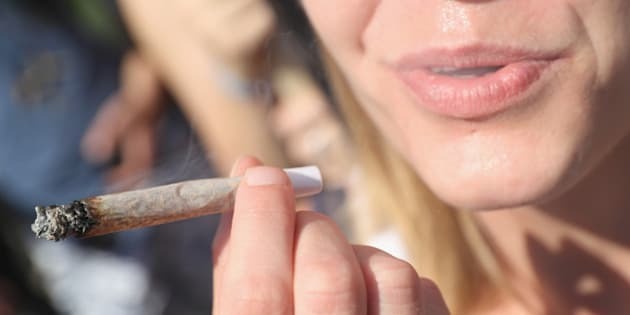 Although smoking marijuana after it became legal would not result in inadmissibility to the United States, admitting to illegal marijuana use prior to its legalization would still result in a permanent bar. Although broadly worded questions such as "Have you ever smoked marijuana?" are not typically asked during an inspection unless the USCBP office has reason to believe that the traveller has committed such an offence, overzealous officers have occasionally asked random questions without any preconceived notion of what the answer might reveal. In my view, such broadly worded questions are inappropriate, but USCBP officers have been known to ask them. Falsely denying the facts is not the best solution. Mr. Harvey believes that he should have denied that he ever smoked marijuana in violation of Canada's laws. However, this would be considered a material misrepresentation under INA §212(a)(6)(C)(i), which also results in a permanent bar to the United States. So falsely denying the facts is not the best solution. If you are ever asked such a broadly worded question, the best course of action is to tell the USCBP officer that such a random and broadly worded question is inappropriate and that you are not going to answer it. Of course, this response will also have serious repercussions. If you are a land port of entry, you can expect to be detained for an extended period and interrogated. You can also expect to be denied entry and sent back to Canada based on some other default ground, such as being an intending immigrant, but at least this will not result in a permanent bar. If you are at a pre-clearance facility located in a Canadian Airport, the USCBP officers do not have the power to detain you unless you have committed an actual crime (for example, you are found to be in possession of a controlled substance during your inspection). If this is not the case, you may simply tell them that you no longer wish to travel to the United States and that you are leaving. In either case, you can expect to encounter problems travelling to the United States in the future. Although you will still not be permanently barred from the United States, USCBP will not be inclined to grant you admission due to your prior lack of cooperation. However, this is still preferable to dealing with a permanent bar. First consider whether the admission really does result in a permanent bar. According to the Board of Immigration of Appeals, an adequate definition of the crime, including all essential elements, must first be given to the foreign national. USCBP officers rarely comply with this requirement. However, arguing this point will likely require a formal opinion from the Admissibility Review Office or a ruling from an Immigration Judge. If you really are subject to a permanent bar, your only alternative may be to seek a non-immigrant waiver of inadmissibility. These waivers are temporary so you will need to renew them every few years. This is certainly an inconvenience but it will allow you to travel to the United States in the future. Remember to retain only reputable U.S.-licensed lawyers for U.S. immigration cases, since USCBP does not recognize Canadian lawyers, paralegals or immigration consultants as legal representatives. Which Province Smokes The Most Pot?